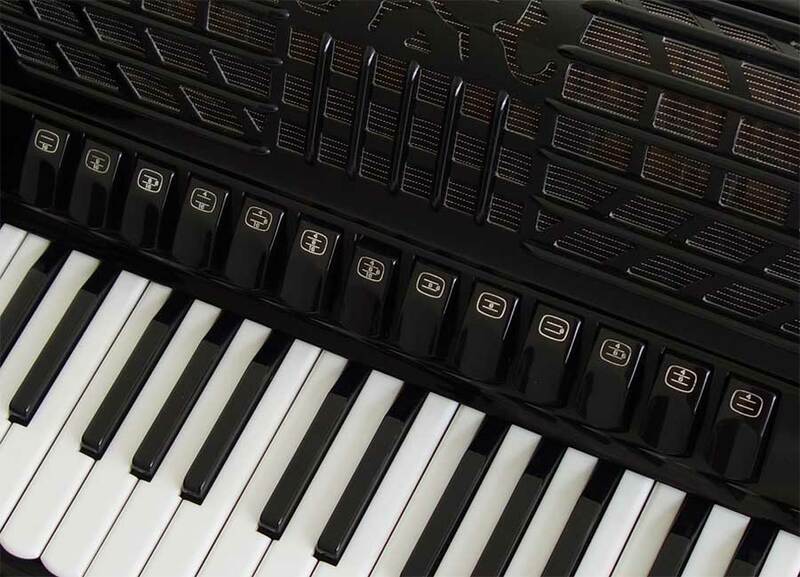 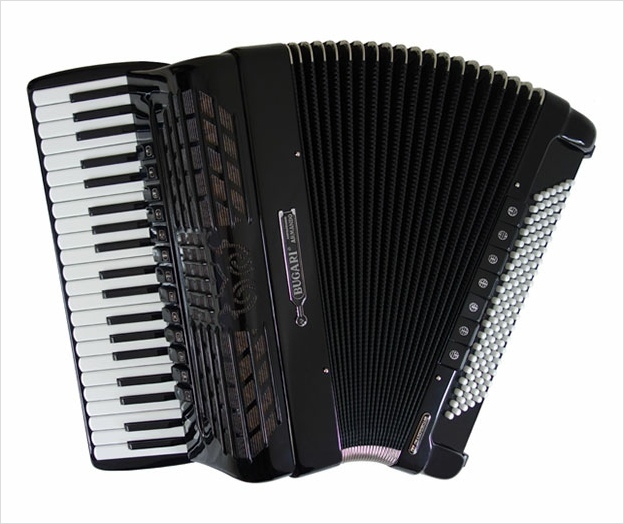 A classic 4 voice, double octave, double cassotto 120 bass piano accordion. 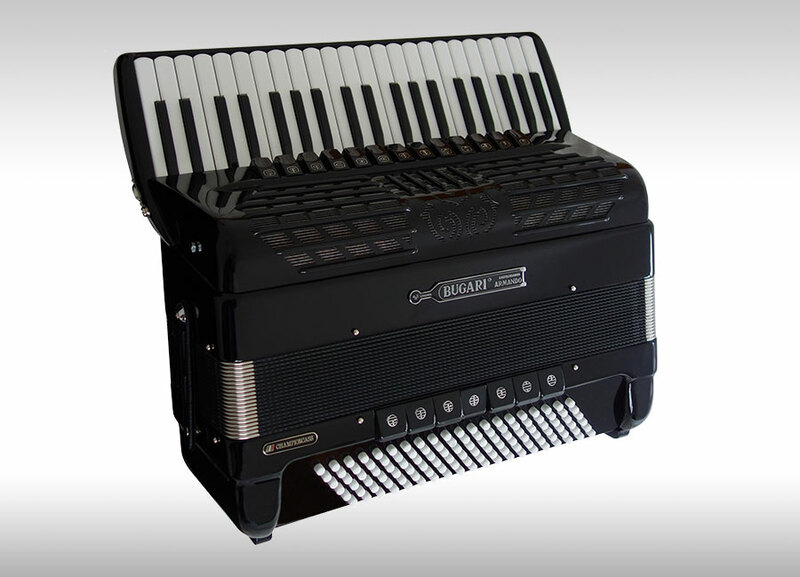 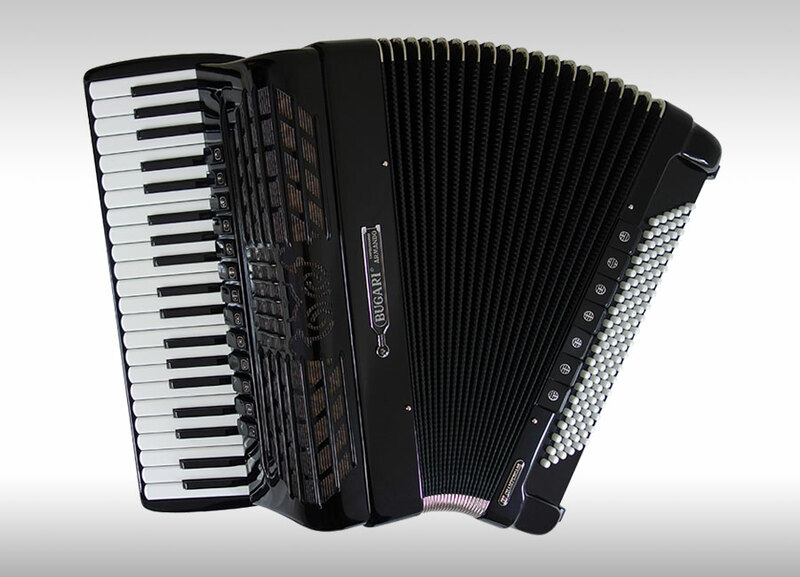 This extremely popular, elegantly styled Bugari Armando accordion has a mild tremolo producing a well balanced tone making it a superb all round instrument suitable for most styles of music, and in particular jazz and classical. 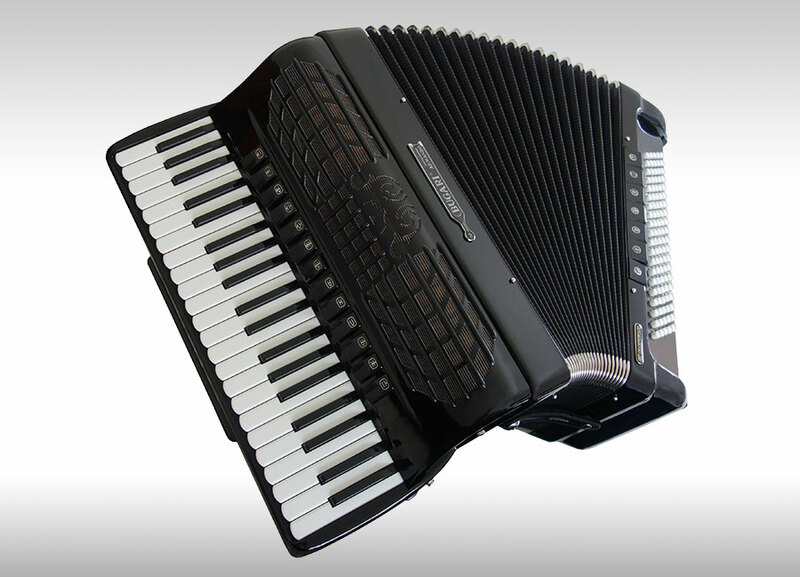 A superb instrument for both students and accomplished accordionists.